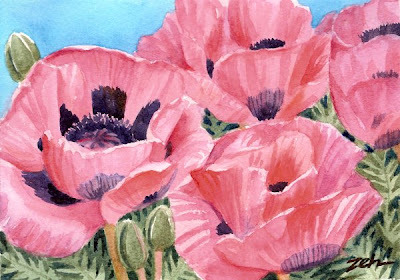 These poppies are eye-catchers. I was driving along to the store when I caught a glimpse of them planted along the roadside. They were so pretty, I turned the car around and went out to snap some photos, knowing they might not be there for long. Lucky I had my camera along!